Have your color and eat it too! 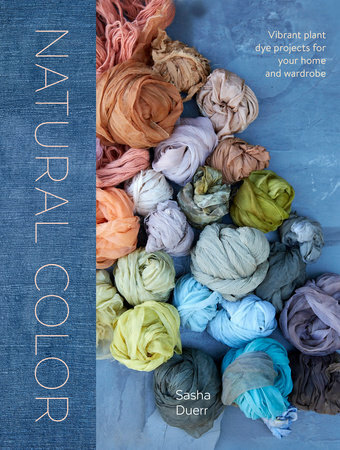 Inspired by recipes from her latest book Natural Color you will learn to make a full range of natural dyes from by-products of your kitchen cabinets, farmer’s market, or even weeds found in your very own backyard or urban sidewalk. In the world of design- often influenced by seasonal “color stories”- you’ll be awed and amazed at how easy it is to curate a truly unique and authentic color palette made entirely from unsuspecting plant based sources. You’ll learn to make vibrant natural color recipes from scratch and take home saturated samples of a full range of gorgeous locally grown plant-based hues- and your own take home textile. This hands-on class includes light snacks and a glass of wine and beer per person. Guests are also welcome to BYOB (nothing hard, please) and to brown bag additional food. SASHA DUERR is an artist and designer who works with seasonal place-based color palettes. Sasha is a professor in Textiles at the California College of the Arts and founder of The Permacouture Institute, which explores regenerative design for fashion and textiles. Her work with natural color palettes and slow fashion has been featured in the New York Times, Whole Living Magazine, and the Huffington Post. She also consults in plants based colors, working with Levi’s, Anthropologie and Whole Food’s Market among others. Sasha is the author of The Handbook of Natural Plant Dyes (Timber Press. January 2011) and Natural Color (Watson-Guptill/Ten Speed Press August, 2016).